My name is David Newns and I'm a full time worktop fitter based in East Sussex. 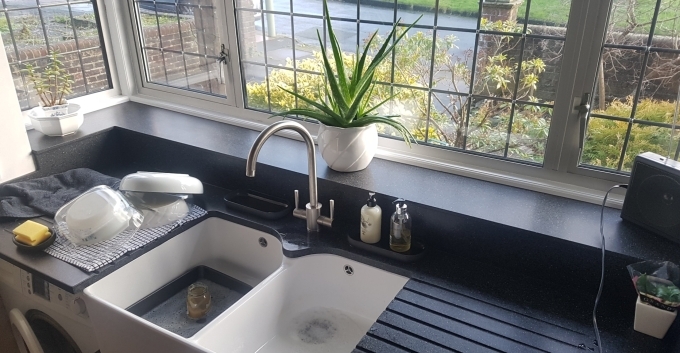 I can fit your worktop to your new kitchen or I can take out your old worktop and replace it with a new worktop without having to re-tile. I work with laminates, solid wood and composites like Mistral, Minerva, Pietra, Mirostone, Appolo Magna, Earthstone, Maia and Zenith. 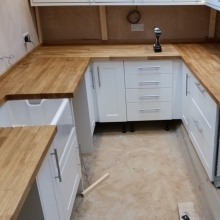 Many of my clients fit their own kitchens, which is relatively straight forward, and then use my services to fit the worktops. 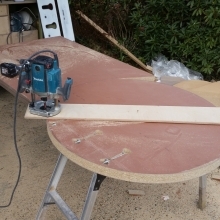 I can just cut the mitres and holes for sinks and hobs or cut and laminate any shape that is possible with the chosen material. 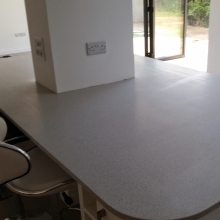 I'm based near Lewes, East Sussex and travel into West Sussex, Surrey, Hampshire and Kent to fit worktops. Any enquiries can be made by emailing me or calling 07811455561.